The MFL is here! Are you ready? Bringing you the latest news in and around the Minor Football League’s 32 franchises, it’s time to give you the latest news on “Inside the MFL” sports talk radio show. This is your chance to be apart of the only professional Minor Football League in America. Don’t miss out on sports talk from host Richard Myles Sr. and industry veterans and co-hosts Kelsey Nicole Nelson and Gary “Digital” Williams. Listen to the show every Saturday at 11 AM on DCradio.gov or 96.3 HD4. For more information visit www.mflishere.com or www.minorfootballleague.com . Gary “Digital” Williams has covered the Boxing scene in the Washington, DC/Baltimore/Northern Virginia area for 34 years. Gary was inducted into the Washington, DC Boxing Hall of Fame in November 2009. He is also a feature writer for Fightnews.com. Previously, Gary was the play-by-play announcer on the TV series “Boxing Spotlight” which highlighted pro boxing along the Beltway. He has also appeared on numerous radio stations across the country talking about the sport. You can hear his audio commentaries, interviews and play-by-play calls by downloading the free Boxing Along The Beltway Google App for Android! He’s also proud to say that he is in his 24th year serving as the public address announcer for Coppin State University Eagles Men’s and Women’s Basketball! He also covers boxing and the Washington pro football team for the Washington Informer Newspaper! Kelsey Nicole Nelson is a leading broadcast journalist, public relations/marketing specialist and event host. As a freelance sports reporter/host, Kelsey has covered some of the top sporting events on a local, state and national level. She’s covered the biggest boxing fights in New York and Vegas as well as the NBA Finals! Even at a young age, Kelsey continues to grow her brand as a journalist and has become a well-known sports personality in the DMV area. Kelsey is a 2014 graduate of the Philip H. Merrill College of Journalism at the University of Maryland-College Park. During her undergraduate career, she received her Certificate in African-American Studies and her Bachelors of Arts degree in Broadcast Journalism. In August of 2016, Kelsey received her MPS degree in Sports Industry Management (SIM), with a concentration in Strategic Marketing, Communications & Digital Media from Georgetown University. Currently, Kelsey covers all the professional and major collegiate teams throughout the Greater Washington Metropolitan Area for vaious outlets and networks. She is commonly heard and seen on Fox Sports Radio 1340 AM/96.9 FM where she works as a multimedia journalist with her own show, top-rated sports talk radio show “Listen In With KNN.” Kelsey also works as a sideline reporter for the Big East Digital Network (BEDN) and sports host for DKN Sports Network apart of OCTFME. Kelsey also is a Host/Reporter/Analyst for “The Roundball Report,” and “The Sideline Report” for Prince Georges County Cable Television (PGCTV). For these shows, Kelsey covers the Washington Redskins, Washington Wizards, Baltimore Orioles, Maryland Terrapins, Georgetown Hoyas and more. In addition to these responsibilities, Kelsey is a reporter for Black Sports Online (BSO) and for Jeff Power TV productions. Kelsey has been commonly heard and seen on numerous shows throughout the country discussing the latest in sports. She previously worked for SB Nation’s Testudo Times and NBC Sports Washington. She also was previously Ms. African-American United 2016 and she is the Co-Founder of “Books Breaking Borders: Books to End Educational Bankruptcy,” community action project. The CEO/Chairman and Founder of the Minor Football League (MFL). Entrepreneur and businessman, Richard Myles, Sr. founded the Minor Football League (MFL) in 1993 to serve youth in the Washington, D.C. metropolitan area. 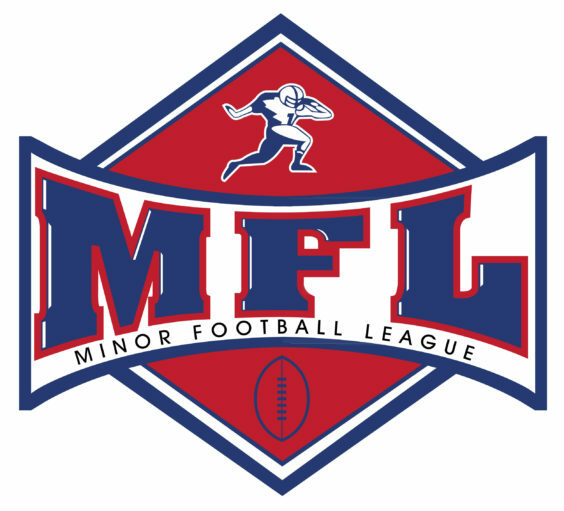 The MFL was established to provide a platform for athletic participation, training and skills development outside of the college or professional sports arena. Recognizing the importance of community and partnership, the organization requires each MFL member team to be involved in the community where it is based. An NFL veteran and Sociology Major who graduated from Arizona State University, Mr. Myles has used his professional and academic experience to develop and implement drug prevention, violence reduction, and conflict resolution programs. An advocate for youth, he volunteers with a number of children’s programs and has sponsored and coached teams in the Special Olympics. He has also supported programs for the Maryland-National Parks and Planning Commission, supporting a variety of programs in various recreational youth centers.